Not sure what to get that someone special for the holidays? Nothing special came to mind after reading, Gift Ideas For The New Media Business Professional? Thankfully, there are kind people like J.C. Hutchins (best-selling author of 7th Son and Personal Effects – Dark Art) to the rescue. The author asked a whole bunch of best-selling authors, successful entrepreneurs, great storytellers and passionate new media folks (including yours truly) for excerpts of their books, and tied it all together in a very special holiday book sampler/free PDF/e-book titled, In The Nick Of Time! Holiday Sampler. Laurell K. Hamilton — Divine Misdemeanors. 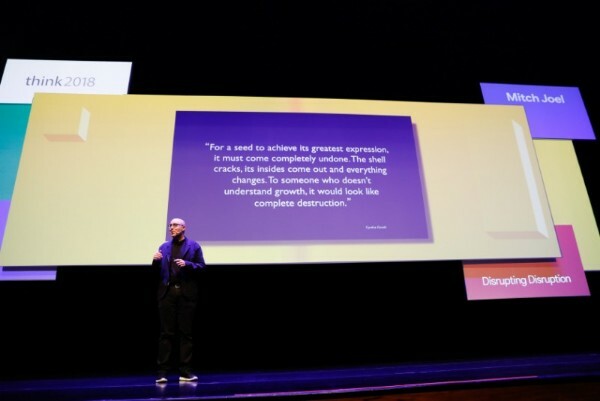 Seth Godin — Tribes and an exclusive excerpt of Linchpin, out next year. Chris Brogan & Julien Smith — Trust Agents. Robert J. Sawyer — Wake. Mitch Joel – Six Pixels of Separation. Tara Hunt — The Whuffie Factor. Scott Sigler — The Rookie. Seth Harwood — Jack Wakes Up. J.C. Hutchins — 7th Son: Descent. The PDF also has some additional functionality: "spot a great gift opportunity? Order from online retailers directly from the PDF, or print the order form at the end of the document and present it to your local bookseller. Helpful staff will find what you’re looking for," says Hutchins on his personal Blog. "From high adventure to savvy business advice, you’ll find something special for the special someones on your holiday list — including you. You’re also welcome to share this free sampler with friends and family. Refer them to this web page to download In the Nick of Time! — http://JCHutchins.net/holiday ." You can download the PDF here: In The Nick Of Time! Holiday Sampler. These are a great help. Especially as it’s crunch time for shopping. I never even thought of giving some of these as gifts till now. Yes, Mitch, merci, thanks, for the list. Have been thinking about buying some of the titles listed, and this is a great help to really get between the covers and see what the deal is. And you enjoy the holiday season. You’re a gift-giver all year long with so much great free info.